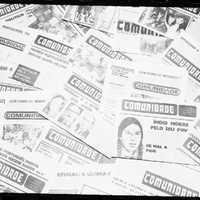 Promotional photo showing scattered copies of the Comunidade newspaper. 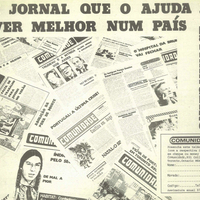 Promotional photo showing scattered copies of the Comunidade newspaper used for the newspaper subscription ad. The ad says: "A newspaper that helps you live better in a foreign country."